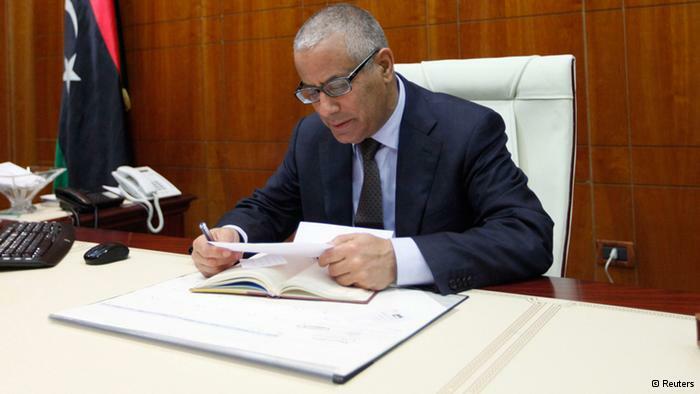 JNN 15 Mar 2014 Tripoli : Ex-premier Ali Zeidan reportedly fled to Europe on Wednesday, a day after Libya’s interim parliament in Tripoli voted him out of office for failing to stop an oil export by rebels from eastern Libya. Maltese Prime Minister Joseph Muscat told the state-owned Maltese television TVM that Zeidan stopped over on the Mediterranean island nation late on Tuesday. Maltese government sources quoted by Reuters said Zeidan left on board a private plan bound for Germany. This was not confirmed by German authorities. Zeidan lived for many years in Europe before the 2011 uprising against the late-Muammar Gadhafi encouraged exiles like him to return home. Libya’s parliament, the General National Congress (GNC), removed Zeidan on Tuesday after rebels holding three key ports in eastern Libya disobeyed government orders and let shipments be handled by the state-run National Oil Corporation. On Tuesday, the large North Korea-flagged tanker Morning Glory, loaded with crude oil from the rebel-controlled port of Sidra, escaped through a improvised naval blockage imposed by Zeidan. The tanker then entered international waters.The Captain & 8 other crew members were of Pakistani Origin on the Ship. Last Saturday, Zeidan had threatened to bomb the 37,000-ton vessel if it set sail. Fighting broke out briefly later on Tuesday in the central coastal city of Sirte, between rebels and pro-government forces. Since the 2011 ouster of Gadhafi, Libya has been divided along tribal, regional and political lines, with hardline Islamists opposed to more liberal figures such as Zeidan. The country has no effective army or police and its Tripoli-based government risks running out of money because of rebel activities. This entry was posted in AFRICA, Europe and tagged Ali Zeidan, eastern Libya, interim parliament, Libya, Maltese Prime Minister Joseph Muscat, Zeidan. Bookmark the permalink.